Wireless gaming is quickly becoming the norm. Having a powerful Wi-Fi USB adapter eliminates plenty of cable clutter and keeps your desk nice and organized. If you go for a good enough adapter, you can also take it with you and play anywhere in the house or in your travels. Keep in mind that most Wi-Fi USB adapters are superior to standard PCI Express cards in laptops and desktops. As an added bonus, you can use the adapter on more than just your gaming system. 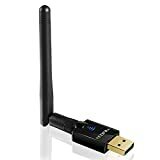 One thing to note before you go ahead and buy the best Wi-Fi USB adapter for gaming purposes – a lot of gamers today might opt for a Linux gaming system instead of Windows. This is because the selection of triple A games and online games is a lot better than it used to be. But many of the high-end Wi-Fi USB adaptors might not work with Linux OS. 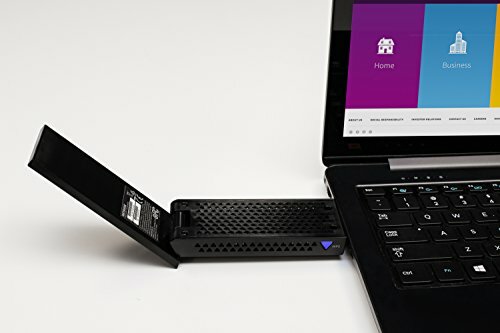 Because of its AC1200 technology, USB 3.0 connection, and low cost, the Inamax USB Wi-Fi adapter is one of the best for filling up your Steam library fast and playing your games lag-free. This is a USB 3.0 Wi-Fi adapter. It will work best on newer gaming rigs that have USB 3.0 or 3.1 ports. The adapter has software support for Windows 2000 to Windows 10, as well as Mac OS 10.5 to 10.13. This should cover the needs of most gamers, but not all of them. 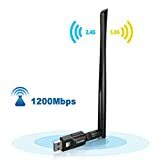 Linux gamers won’t be able to use this high-speed Wi-Fi adapter. In terms of size, this gadget is as compact as they come. The antenna is just 0.5” thick and about 9.8” long at full extension and plugged into a USB port. You can achieve a 360-degree rotation for the antenna as well as 90-degree freedom of motion once locked in place. Under perfect conditions, this device is capable of delivering 867Mbps transfer speeds on the 5GHz band and 300Mbps on 2.4GHz. It’s also a plug-and-play device if you running Windows 10. If you’re still gaming on an older OS then you will need to use a driver to make it work. 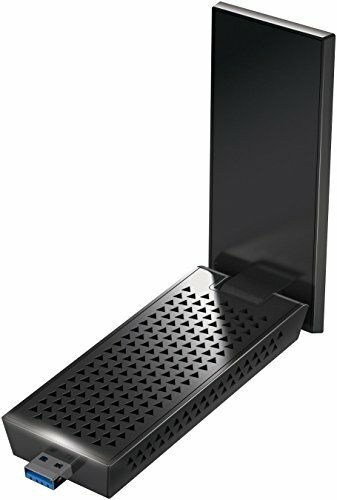 There are many Netgear Nighthawk models on the market, some better, some worse, some insanely priced. The A7000 is the one model that seems to offer the most bang for your buck if your main concern is a pleasant gaming experience. This AC1900 Wi-Fi USB adapter is a bit larger than most. It’s 7 x 5 x 2.6 inches and on the heavier side too. While it is solid and easy to use on most laptops, you may find it hard to use on a desktop gaming system if you have to use the adjacent USB ports as well. In terms of performance, it’s a different story. The Nighthawk A7000 supports MIMO. This makes it a great gadget for a lot of gamers that share the router with multiple devices or gaming systems. It also bypasses the standard communication queue between the router and the adapter, making the online gaming experience a lot more fluent. To put things in perspective from the standpoint of specs, the Nighthawk A7000 should give you a maximum of 1300Mbps in perfect conditions. However, even for the 2.4GHz band, you can still squeeze out 600Mbps thanks to the AC technology and high-end beamforming. If you also have a decent provider and a medium-range router, you might just be able to hit download speeds of 300 MB/s or more at close range. The compatibility with all operating systems but Linux is something we have seen before. It’s somewhat disappointing but not a deal-breaker unless you’re a Linux enthusiast. Sometimes good things come in small packages and oh boy, is this EDUP Wi-Fi adapter one of the smallest on the market. Don’t worry though, it packs more than enough power to let you farm your raids or stalk people in battle royale games. EDUP’s AC600 Wi-Fi USB adapter is more powerful than most PCI Express cards of pre-built desktops and laptops. This adapter boosts your system to an 802.11ac standard which is about as powerful as it gets for basic and professional gaming needs. However, the raw speed is not the best. 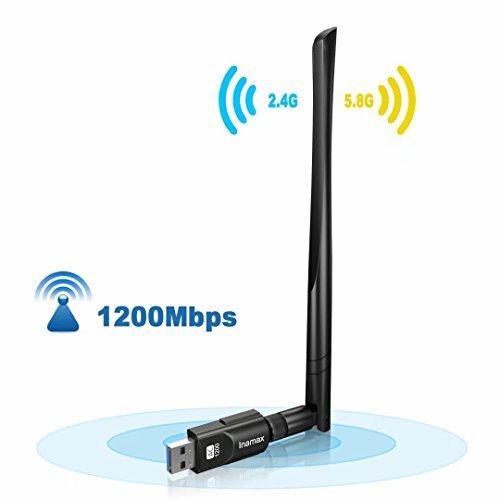 This gadget only boasts about 150Mbps for the low band. Be that as it may, the stability of the connection made possible by the Wi-Fi standard is very important. This will allow you to play with minimal interference, and therefore you won’t be worrying about packet loss. It will make your online gaming experience feel as smooth as if you were playing a single-player title. As far as pricing goes, this is also a budget-friendly option. If you’re looking for the most compact Wi-Fi USB adapter that can support every OS minus Linux and without breaking the bank, EDUP might just have your number. The omni-directional antenna is removable, should you want to replace it at some point or get ready to travel with the adapter. As you probably already suspect, this is also a USB 3.0 adaptor which means you need to have at least one USB 3.0 port or above to fully take advantage of the transfer speed. Whether you want a high-end Wi-Fi USB adapter or just the best Wi-Fi USB adapter for gaming purposes, you can generally find a cheap solution to upgrade your PCI Express card. Note that even the most expensive Wi-Fi USB adapter won’t do you any good if you have a subpar provider and an old router. However, whichever way you go in terms of technology, design, Wi-Fi standard, and bandwidth, it’s important to remember that USB 3.0 ports are a must. Therefore, try to keep one or two of them free at the back of the case, as the USB adapter will be able to draw more power when plugged into the MOBO directly.